This bolstered pet bed fits nicely on any chair, loveseat or couch. Made from sueded, polyester with a removable bolster for easy machine wash care. 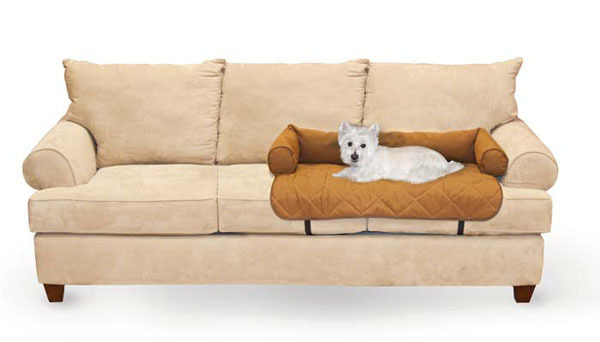 Dimensions: 38"" x 26"" x 6""
Gives pets a place on the furniture for pet to sleep and know that your human furniture is protected.